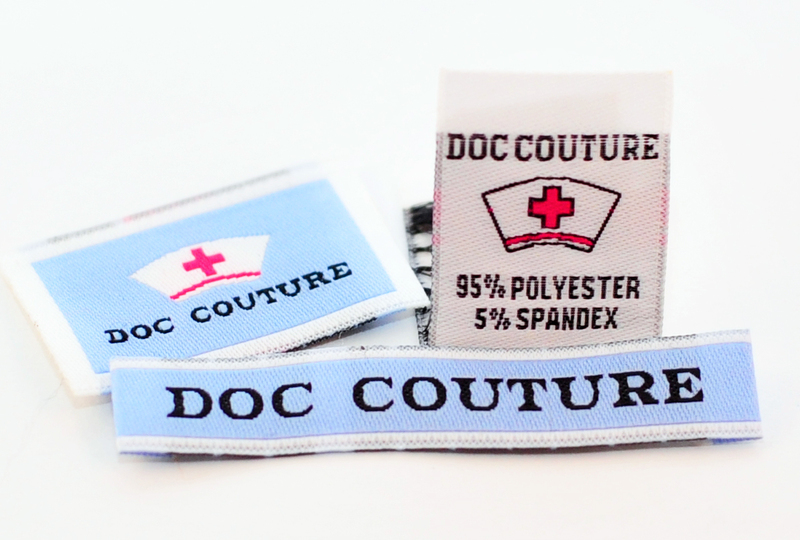 A great use of space in an always professional woven label: Your logo on the front and care instructions on the back. Why on earth would you use 2 or more labels in your products? Do I really need to have care instructions on my products? or… Maybe I will just print my own. Branding your product with a label is A MUST. Having care instructions on a label that is permanently attached to your products is MANDATORY. 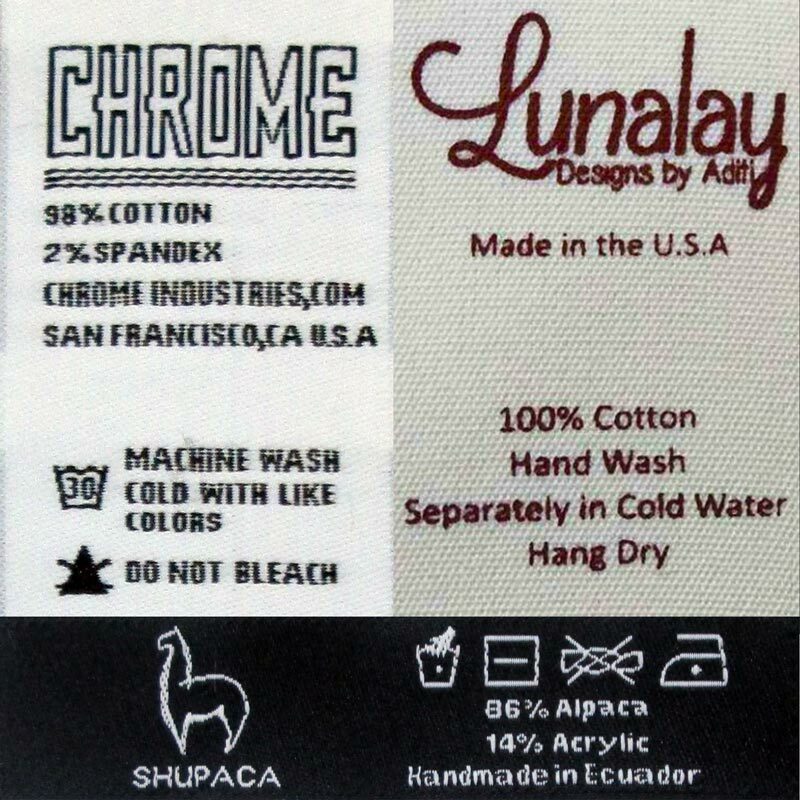 Place of origin (Made in USA, China, etc.). In a future post we will discuss the different label “combos” you can use for your products. But why oh why would you choose a centerfold label instead of a straight-cut, or end-folds label? The main reason someone would choose a centerfold label is the ability of hiding those not so smooth ends that people always complain about: the itching, the bothering, also the ease of attaching it: just slide it thru a fold or a hem, just a quick stitches and you are done. And why should you choose more than one center fold tag? 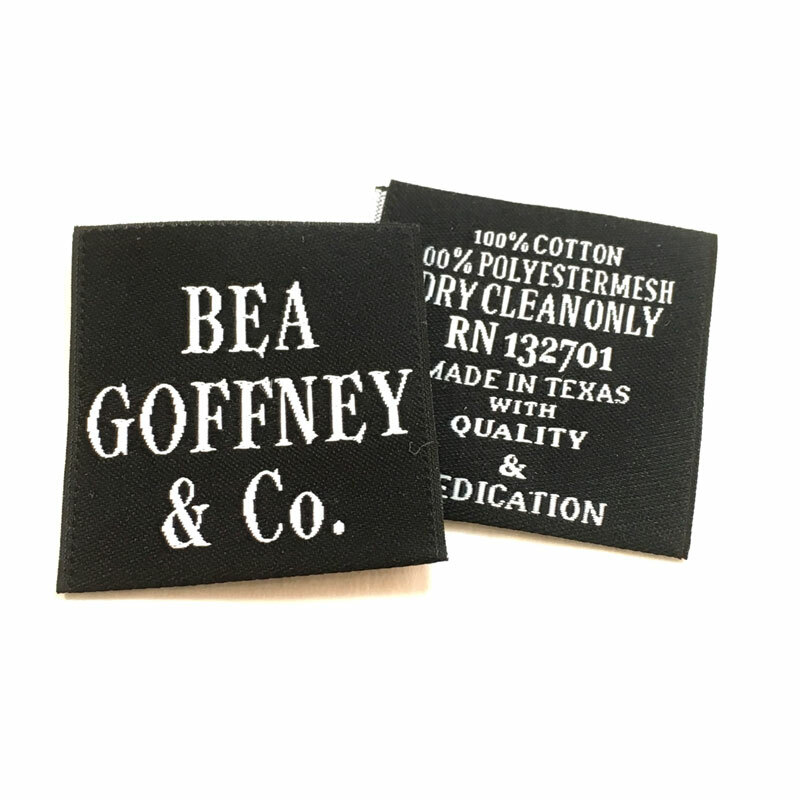 There is something about them, people really love these tiny little tags and their rather odd placements: in the side hems (inside and outside), at the bottom hems of t-shirts, on pockets and necks, the more the merrier!